When it comes to getting traffic, there are countless sources available across the board from paid advertising to social media sites to video sharing platforms to referrals, etc. This video covers a method of traffic generation through content marketing which, when utilized, can gain you a massive audience. 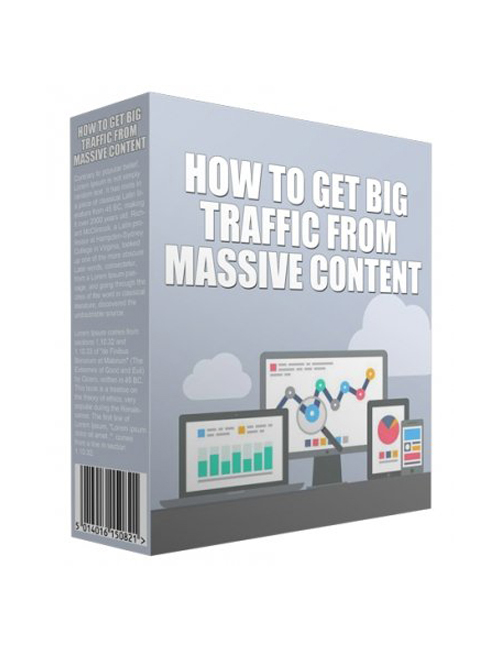 This method is known as the High Traffic Content Model which is primarily used to gain traffic using content and it’s not something that many people tend to implement in their business. As the internet expands, there are always new traffic generation methods coming about and it takes a while for even the more in-tuned marketers to catch on. But the thing about traffic is that you don’t want it for the sake of wanting it. You need that specific type of traffic that actually converts. If I’m selling home baked blueberry muffins, I’d rather not be having people coming to my site who are searching for back shavers. If you really want to know how to get big traffic and do it the right way so your business can thrive, then grab this audio podcast right now. This is where you’ll absorb the real methods that is only available here in this download. Get it now.